Best and Less, an Aussie clothing retailer, is hosting a feedback survey at – www.bestandless.com/feedback – where all customers who leave their feedback go into the draw to win a $50 gift card! 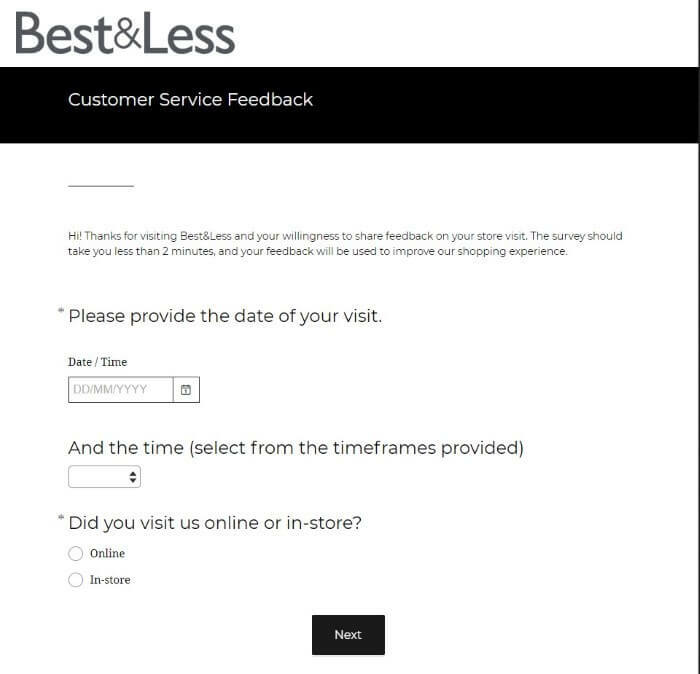 Great way to share your opinion and take the survey. What Do Others Think About Best and Less? Best and Less are looking to improve the services they offer and they need your help to do so! Their company is asking you to give them feedback about your recent visit, and they’re rewarding some lucky entries with a $50 Gift Card to spend at their stores! As there is a bit of money involved with Best and Less’ survey giveaway, there are a few rules you need to follow. If you don’t follow them, you may be disqualified if they choose you as the winner. That’s all! Pretty simple rules to follow compared with many of the other customer satisfaction surveys out there! 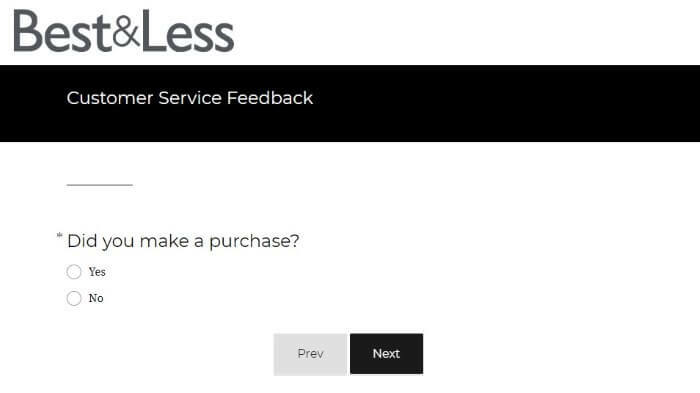 As there’s no verified purchase required, you don’t need a valid receipt to start the survey. If you did make a purchase, you don’t even need to keep the receipt in order to remain eligible for the $50 Gift Card. Did any of their staff greet me at the door? Were they easily identifiable if I needed them whilst browsing? Did I make a purchase? Would I like to give them any specific feedback? Was I thanked for shopping there at the checkout? How likely is it that I’d recommend their store to friends or family? 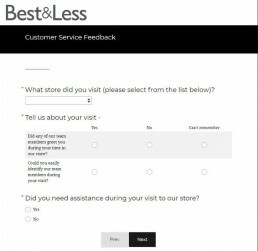 Why does Best and Less care? Because they simply can’t afford not to. Retail clothing in Australia has been under a massive strain in recent years, due to many Australians turning to the internet and buying their clothes overseas – getting them delivered straight to their door without the hassles of a fitting room. 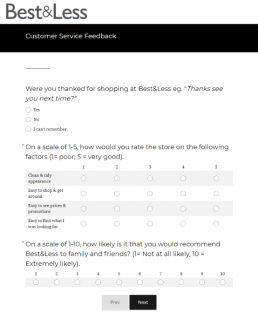 And with returns and refunds becoming ever friendlier to the online shopper, it’s almost vital that Best and Less pay close attention to exactly how their customers feel about shopping with them. For that reason, it’s great to see they’re actively seeking out feedback from their customers. And not only seeking it out, but rewarding those who do, because they know your opinion is worth something. Your feedback has more value than you think. It’s you, their customer, who will determine whether their business is still around in 5 years – so they better pay good attention to it! Best and Less first opened their doors to Aussies back in 1965, when their first store opened in Parramatta. The clothing company was founded by Berel Ginges who was an Australian entrepreneur and businessman. Today, the store has grown to more than 180 locations around the country. 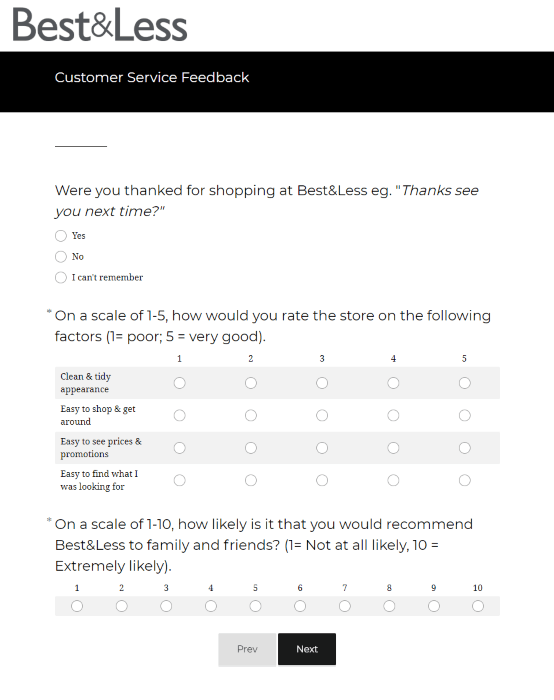 Owed to the simple fact they’ve continuously provided exactly what the customer wants, adapting to their feedback and allowing them to grow substantially. Best and Less now sell homewares, clothing, sporting jerseys, shoes, and various other items. Otherwise, have a read of their FAQs to see if your question’s already been answered. You’re also more than welcome to give them a call on 1300 135 766 during normal business hours. Lastly, if you’d like to get in touch with a store near you, visit their store finder for their contact information.